A fabulous 30th birthday gift for her. 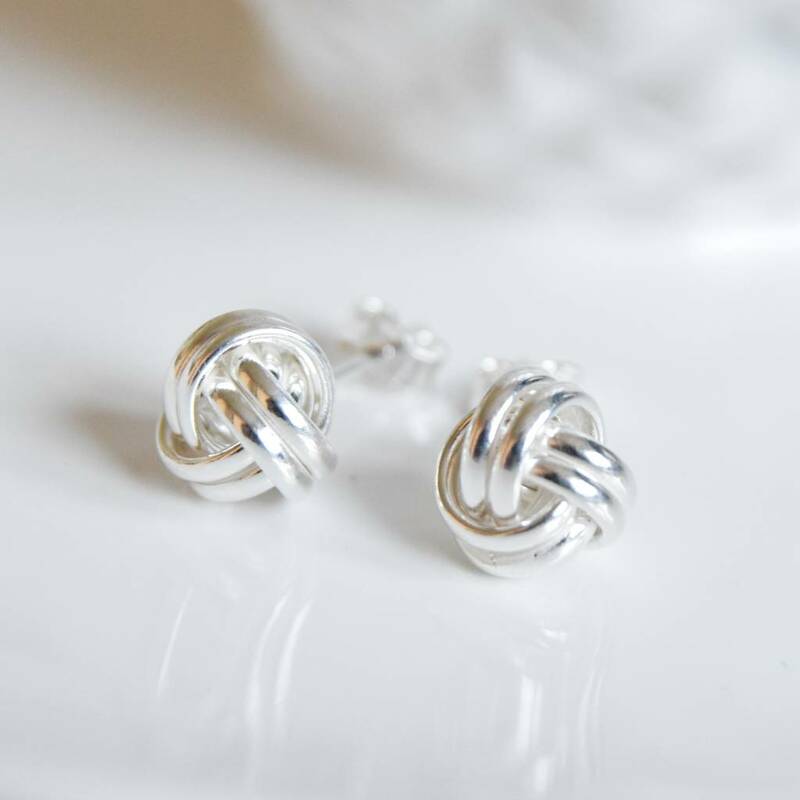 These elegant sterling silver knot earrings are a perfect 30th birthday gift. 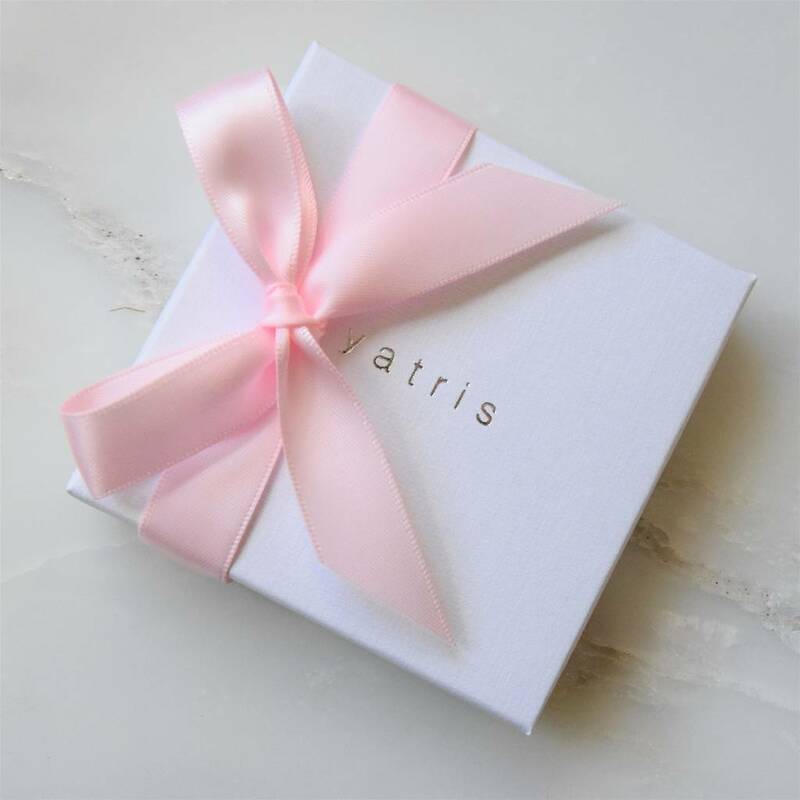 Their classic appeal makes them ideal for both everyday or evening wear. Their timeless quality ensures their longevity and can be worn for many years to come. 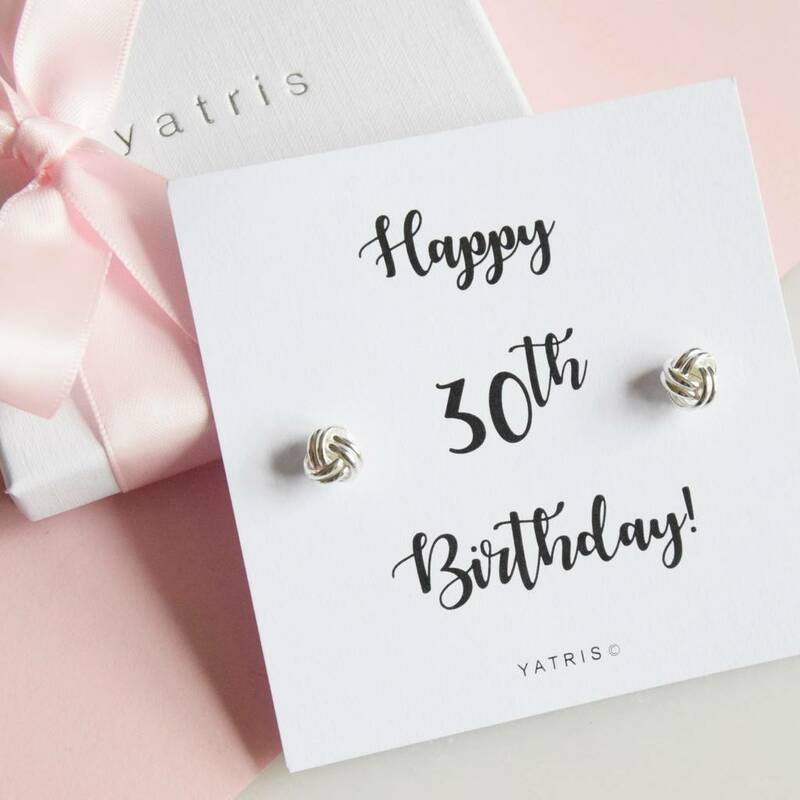 The 30th birthday earrings come in a Yatris presentation box gift wrapped with a pretty satin ribbon included, free of charge. All ready to be given to the recipient! 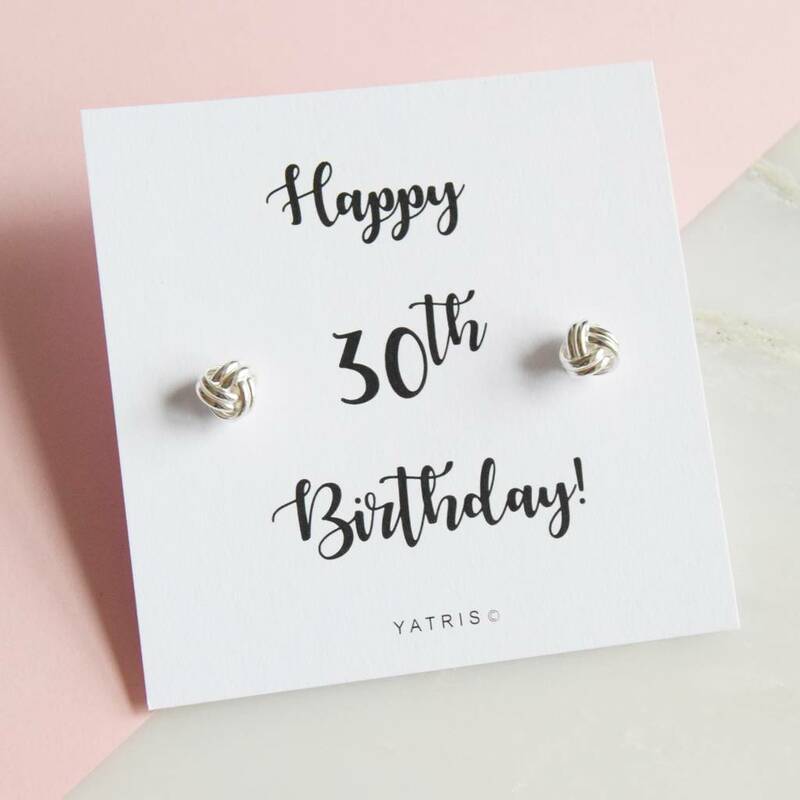 The sentiment card reads: "Happy 30th Birthday!" Available in all silver or silver with gold plated thread. 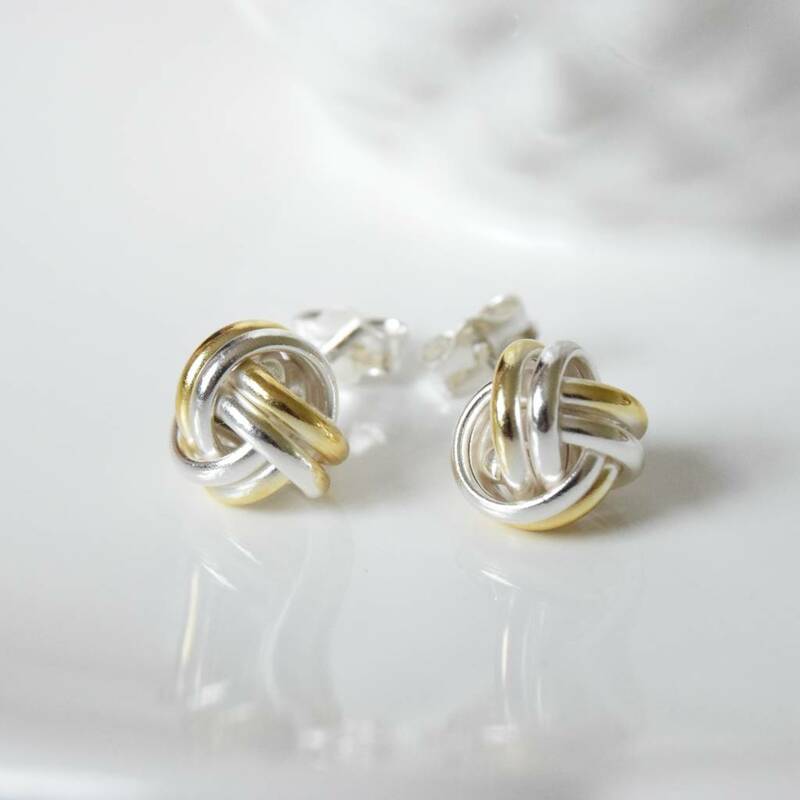 Each knot earring measures 8mm.